We start off with the a great aerial of London and some clever thievery by a trio of cats. 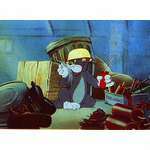 The cats pull off a diamond heist using some nifty Steampunk gadgetry and are then chased by a bunch of constables on the roof tops. The cats do some great bits of parkour before they jump off a building and glide to a mystery man riding a horse where the drop the diamond to him. The next morning we are introduced to Sherlock Holmes and Dr. Watson and Jerry who seems to be another of Holmes' assistants. Jerry lives with Sherlock and is a regular on his cases. As Jerry runs and errand for Holmes we are bump into Tom on his way to see Mr. Holmes with an urgent letter. Tom is minding his business when a series of unfortunate events, with Jerry leads him to Sherlock Holmes. 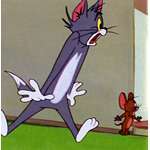 This sets up the "battles" between Tom and Jerry as Tom was a bit indifferent with Jerry at the beginning and now there is a grudge. Tom is the valet of Red Hot, an engaged high society type that is moonlighting as a lounge singer and is being blackmailed because of it. Holmes and crew arrive at the lounge where Red is singing, it's nice to the the City Wolf and the Country Wolf make a cameo. After the act we find that Red is being blackmailed in a similar fashion as one of Holmes' other cases, "The Redheaded League". We also find out that Red's home is next door to an embassy that is housing a rare diamond. Spike and Tyke are guard dogs, go figure, that are supposed to guard the jewel, well you know how that goes, the cat burglars snag the jewel while Spike is teaching Tyke the ropes of being a guard dog. The cat burglars make a daring escape, much like in the beginning. Tom and Jerry and company head back to Red's house only to find that the diamond has been stolen from the embassy and that the police are on the way. 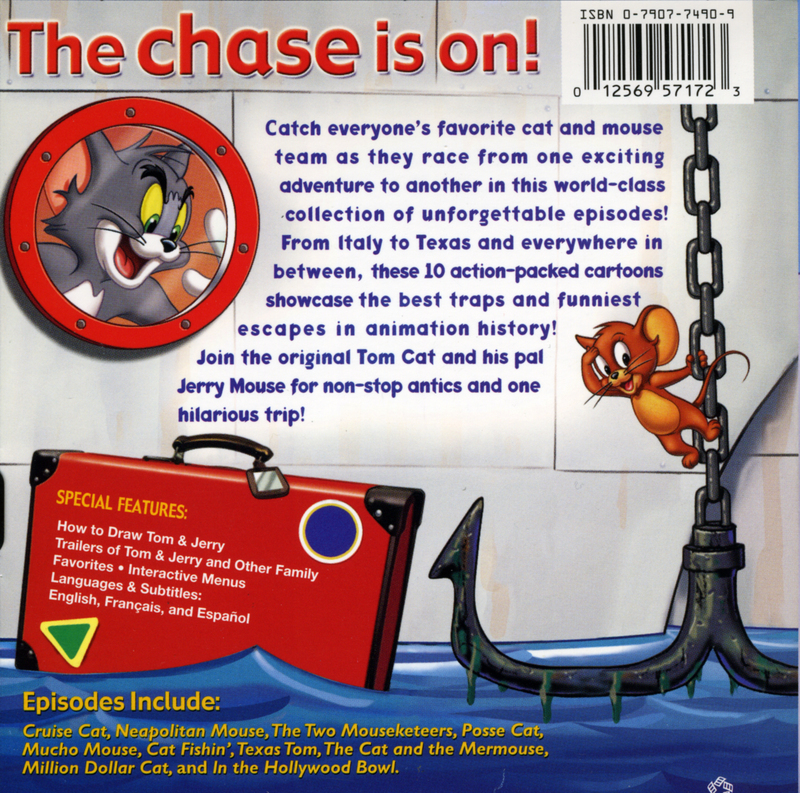 Our crew splits up with Holmes and Watson searching for some leads in the clues that they have, leaving Tom and Jerry to help protect Red. Cut over to Scotland yard where we meet up with, SURPRISE!, Droopy and Butch the Dog who are on the case of the missing diamond and the suspect Red...along with all of Scotland Yard. 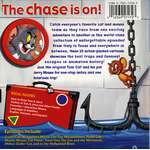 Our intrepid officers of the law give chase to Tom, Jerry, and Red. Our heros, duck into a church where we then meet up with Nibbles, an Irish Catholic priest and brother to Jerry. 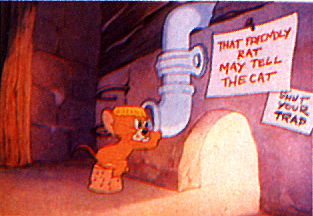 Nibbles hides Tom, Jerry and Red throughout the church while Droopy and Butch search. Eventually, our heroes slip from the Police and run through the streets of London. Meanwhile, Holmes and Watson are oblivious to the fact that they seem to be on wild goose chase in the countryside. Back in London we go to Professor Moriarty's house, who sent Red to find Holmes, and is apparently an old family friend. It is then revealed the Moriarty is behind all diamond heists as he has created this heat ray in order to melt a hole in the Tower of London to steal the crown jewels. 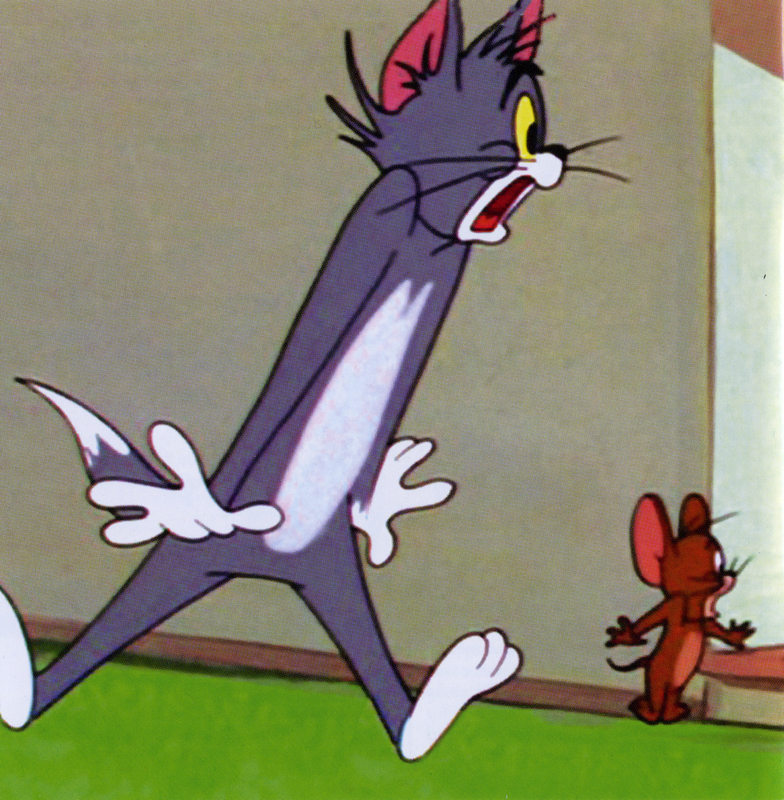 Tom, Jerry, and Nibbles rescue Red, but not before Moriarty steals the crown jewels. Meanwhile, Holmes and Watson finally realize they've been duped head back to London to go after Moriarty and gang. A fun chase through London ends with Holmes capturing Moriarty and returning the jewels. Everyone is happy and Red marries her fiance, the City Wolf. I enjoyed this. This cartoon was really well paced, the animation was smooth and dynamic. There were a couple of running gags and slapstick action that got a good laugh out of me. 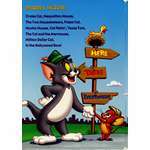 The story was simple and safe and focused a lot on Tom and Jerry who didn't try to subvert each other but worked as a legitimate team, all be it begrudgingly. 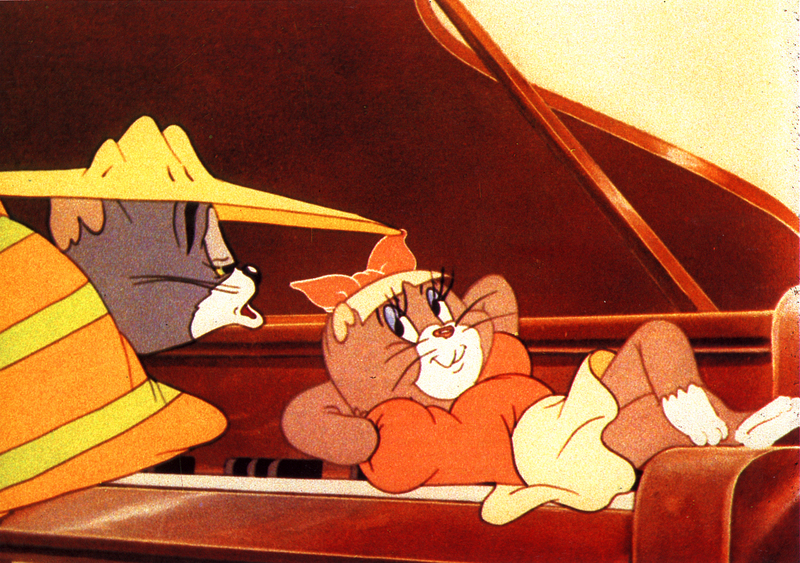 Tom and Jerry really seemed to have a lot of personality in this, at least more than the one-dimensional persona's of some other Tom and Jerry Direct to DVD. 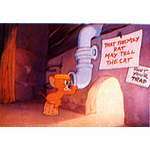 The other really nifty aspect about this Tom and Jerry is the bits of Steampunk technology that Professor Moriarty uses in his crimes. Tom seems to be more clumsy as the movie goes, could be because he gets hit in the head...a lot. Tom is used as a punching bag a lot for some laughs and it gets old after a while. The other bad thing about this is that Sherlock Holmes and Watson really don't have much screen time and when they do the characters are kind of caricatures of themselves. It's hard to explain but they just fit the stereotype of who you think Sherlock Holmes and Watson to be. Now, that is kind of a nitpick point considering that I'm technically not the target demographic for these cartoons. 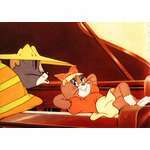 Let's talk about Nibbles....why do the producers of these cartoons have to give this poor little mouse THE WORST accents?!?! I swear! Several of these direct to DVD movies have been very unkind to Nibbles in the most embarrassing way. 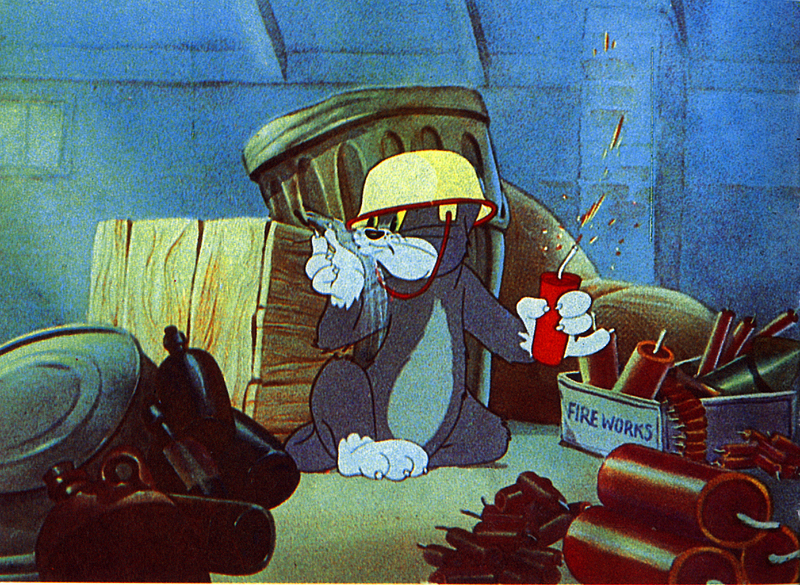 Thankfully it's not as bad as "Tom and Jerry: A Nutcracker Tale"; that accent on Nibbles was a crime. 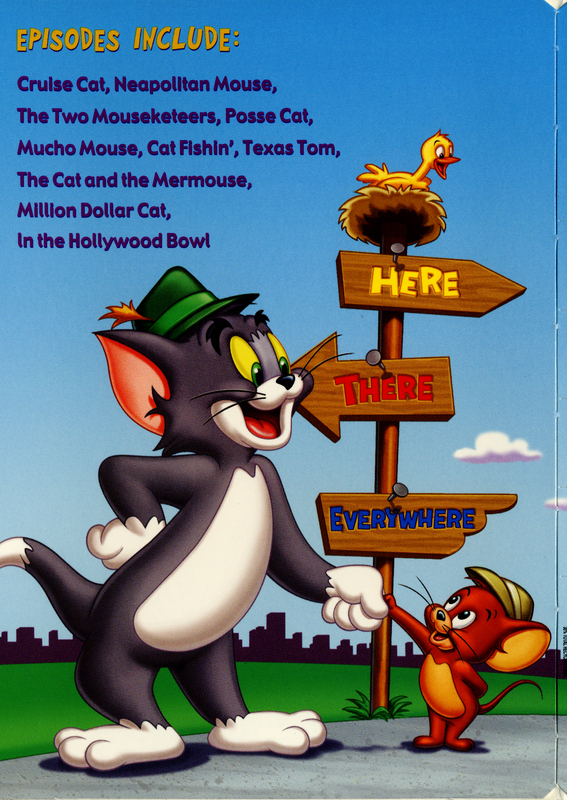 The other thing about these Direct to DVD is that all of the characters from the MGM cartoons have to have some sort of cameo and they usually are perfunctory. It's fun to see Spike, but I don't need to see him teaching Tyke in a rehash of "That's my Pup" in every single appearance in these movies. Droopy and Butch the Bulldog were part of the MGM cartoons but never part of Hanna-Barbera's run at MGM and it annoys me whenever they make an appearance. Red Hot and the Wolves were fun characters in this movie so they get a pass since their inclusion made sense to the story. This is a fun romp at only an hour. The story was cute and had a great pace with some fun adventuring and mystery that the kids would enjoy.